Prior to the trip, We were deciding if we should visit wu zheng or huang mountain. & because of my poor stamina, we choose the first. 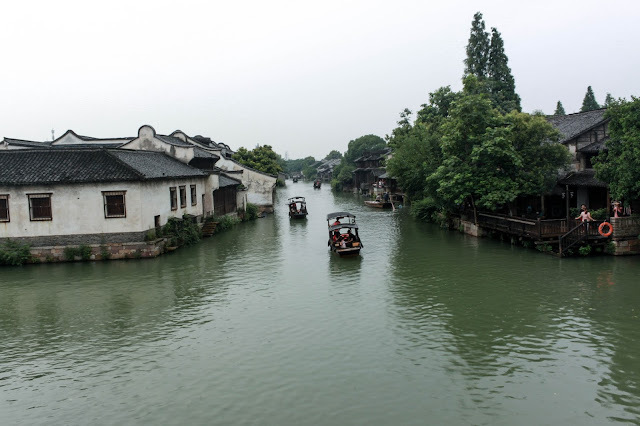 Wuzhen is located outside of Hangzhou & took us about 1.5 - 2 hours to reach Wuzhen from our hotel. The ticket for both attraction cost 150 rmb whereas each are sold at 100 rmb and 120 rmb respectively. You can purchase tor ticket when you are there. Once you reach bus station , alight and walk towards the exit gate. Before you exit, you will see lots of touts standing outside the gates. Some are offering 5 rmb per pax per ride or etc. I wouldn't recommend people to take those unlicensed car ride as you don't know where they will send you to. Turn right and walk to a bus stop before the you exit. It is quite straight forward to get there as there are only two bus operating. Hop on to bus 350 & alight at the second stop ( if you are heading to the east of wuzhen) & last stop if you are heading to west of wuzhen. It cost only $2 rmb per pax. Please prepare exact as they do not give you change. To return to Wuzhen Bus station, you take the same route back. 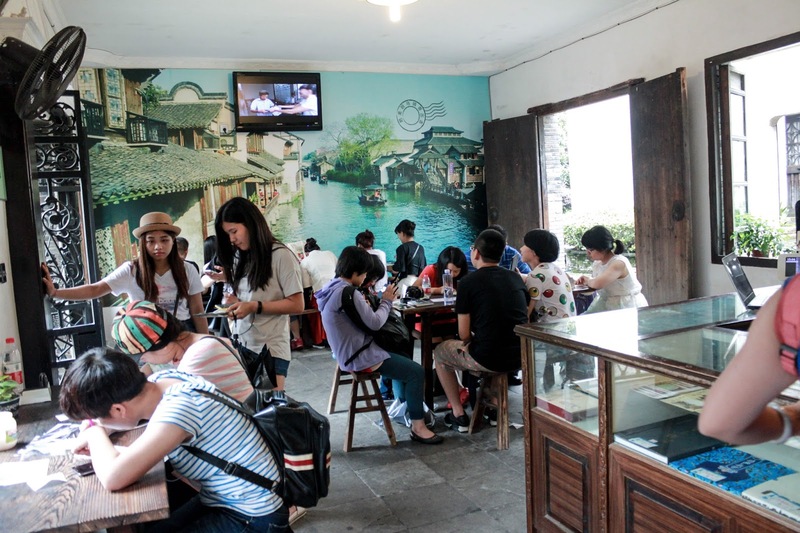 If you do not intend to stay in wuzhen for the night, it is advisable to purchase your ticket back to hangzhou as the last bus that leaves wuzhen is 6.30pm or earlier. to purchase the ticket, you have to exit the gate, then turn left and walk straight. You will see the bus ticketing area. 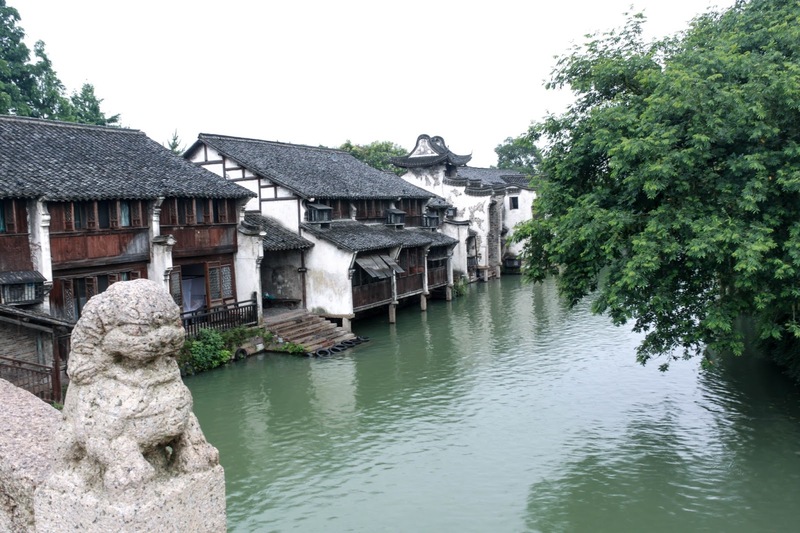 We bought the west ticket as only have half a day to explore wuzhen. 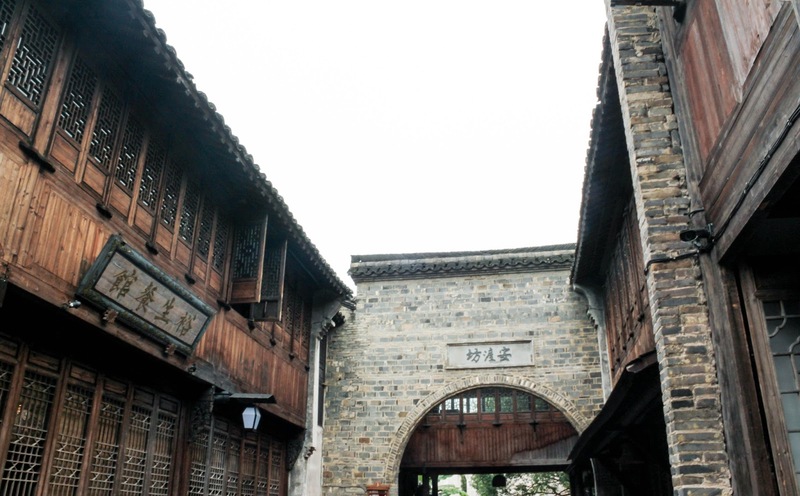 When I was there, Wuzhen gave me a mysterious feeling. It felt like i was walking into old film through time machine. Wuzhen was preserve by the government and was said to be one of the most beautiful city in china. "Little Chinese Venice " , they called. & You wouldn't meet a lot of foreigners as that there are lot of domestic tourist there. Another interesting place is the post office. 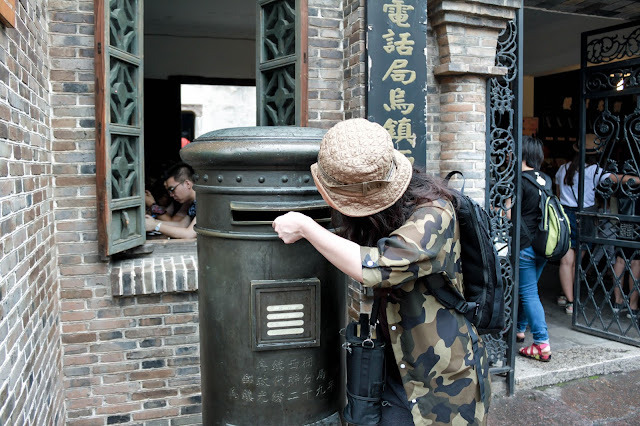 We took photos and i wrote a postcard to friends & myself. & I'm so glad that i did it with H & travelling has always been our passion. To explore the world & ourselves.
" To travel is to take a journey to yourself "
Other than that, H was very excited about the street food sold after reading lots of review on baidu.They are all located along the same street so just keep walking and you will find it. Some are hit while some are misses, you got to try it out! Not sure what this is call, but it brings back familiar taste. It taste like kueh back in Singapore. One interesting practice that we spot at the store is how the customer pay for the Chinese cake. All you have to do is put small notes in the basket and collect your cake. #selfservice. But if you have bigger note, the staff will pick the big notes and keep it. First glance, i thought it was Japanese 'Mochi' dessert. But when i put into my mouth, i realise that I'm in china. Anyway it is rice paper with Mochi inside plus some salted-soy sauce. Taste kind of weird for me but H likes it. I have walk to several place along the streets & they all sell this 'shao-bing'. Some have long queues while some are just squeeze in and you get it. I can only suggest you to follow your instinct in getting the 'shao-bing'. I love the shao-bing and don't think they vary much. The way they prepare the shao-bing is very interesting. They use high heat in traditional 'stove' and laid the flour dough to bake it. It is usually crispy on the outside but dry on the inside. It taste very much like a flat lay bread. The ones i had are stuff with Chinese pickles. So it is salty too. Initially, we had no idea what this was and just follow the queue #skillofasingaporean. & we did not regret it! The fried fritters are really the bomb! No wonder the queue is superlong. & there is fried spring roll (H bought 3 or 4 for himself). The downside is the long queue. Personally this got to be my favorite. Osmanthus Tea Cake! It has light taste of osmanthus , moist and a little sweet. Just nice for me! I went back to get another one because it was so good! Anyway, the list of food goes on. The only regret was not spending enough time there.We had to leave the place around 5pm to catch the bus. I'm so glad that we made the decision to visit wuzhen.